BRISTOL SHOW 2011: Gecko expands range of TV cabinets | What Hi-Fi? 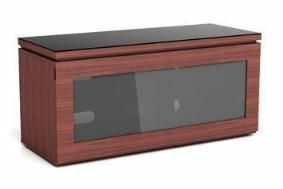 The company's Reflect and Impro cabinets will become available in a gloss walnut finish, with the option of a black glass top. As an alternative, a gloss white finish will be made available this spring. You'll be able to see the full Gecko range at the Bristol Sound & Vision Show 2011.